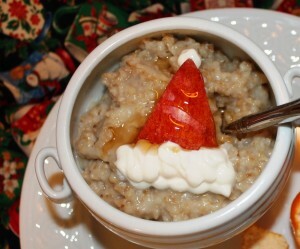 Oatmeal A’ la North Pole! 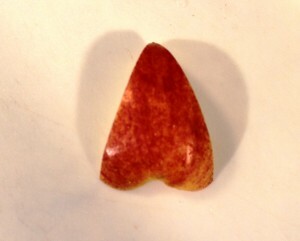 I’ll admit it…I LOVE to play with my food! 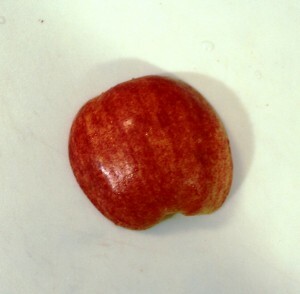 (Thus my profession!). THIS is how oatmeal is served in the Claus household. Cut off one side of a red apple just outside of the core (to Santa hat 2avoid the stem and seeds). Place apple slice on cutting board and trim to the shape of a triangle. 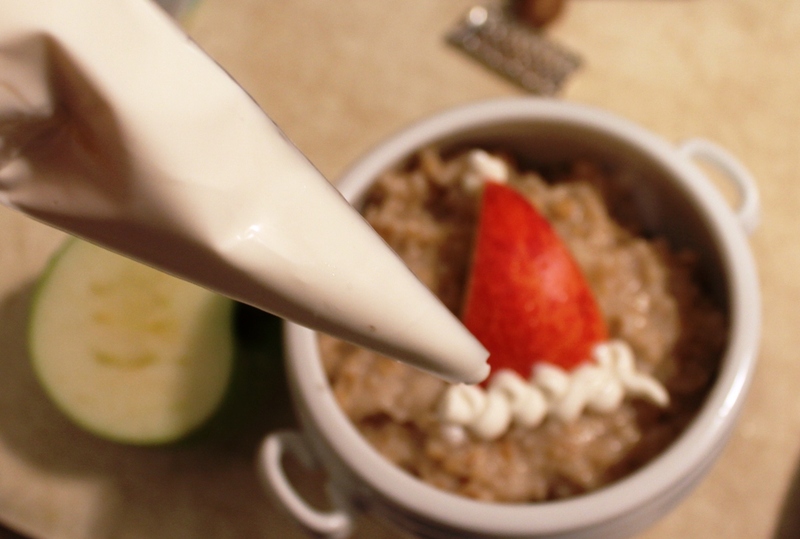 Put on top of your oatmeal (or any other food to which you want to add a little holiday cheer). With a pastry bag or zipper sandwich bag, pipe a little Greek yogurt at the top and bottom of the “hat” to create the white fur that trims the real hat. Drizzle with honey or maple syrup if desired.